Learn beekeeping from our experienced members. 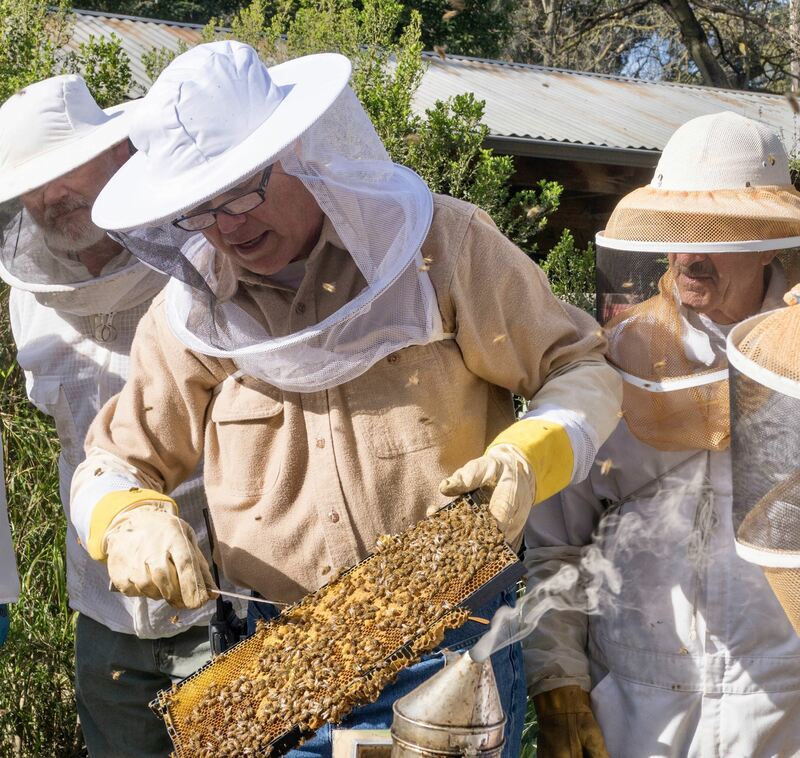 Find or become a beekeeping mentor. Receive the informative monthly newsletter. Seek advice, sell equipment, or offer swarms or queens on the member forum. Borrow the Guild's honey extractors, infrared camera and hive carrier. Borrow beekeeping books from our extensive lending library. Participate in Guild auctions and win door prizes at the monthly meeting. Get swarm calls from the public and advertise your honey for sale. Teach about bees at fairs, festivals and speaker events. Family Annual Membership - $35.00 (USD) Bundle (up to 2 members) Subscription period: 1 year, on: January 1st Automatic renewal (recurring payments) Membership runs from January 1 through December 31. Family membership provides two email contacts per household, and one vote per family. If paying by check, please send to: SCVBG P.O. Box 202, Los Gatos, CA 95031. Individual Annual Membership - $25.00 (USD) Subscription period: 1 year, on: January 1st Automatic renewal (recurring payments) Annual Individual Memberships start on January 1st and expire on December 31. Membership provides one email contacts and one vote. Pay online or by check by sending your payment to SCVBG P.O. Box 202, Los Gatos, 95031.